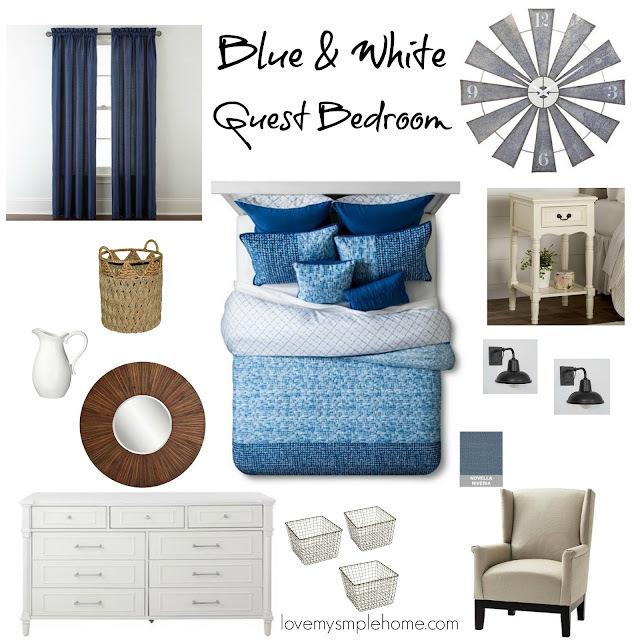 Hi, friends welcome back, it's the third week of the One Room Challenge! 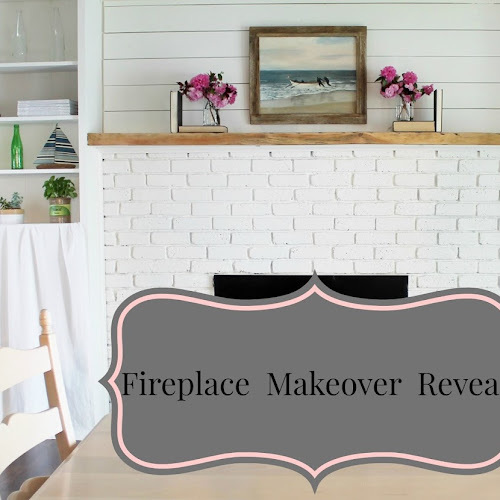 In case you missed last weeks post here is the before and if you'd like to check out my design plans for this makeover you can find that here. Well, friends, it's been a busy week here! My husband fixed the ceiling and we finished priming and painting the walls. We also purchased the ceiling and floor trim and I started a makeover on a bedside table. We did take a break on Sunday to celebrate Easter with our daughter and enjoy the nice weather. While my husband was working on repairing the ceiling I went shopping at The Home Depot for paint! 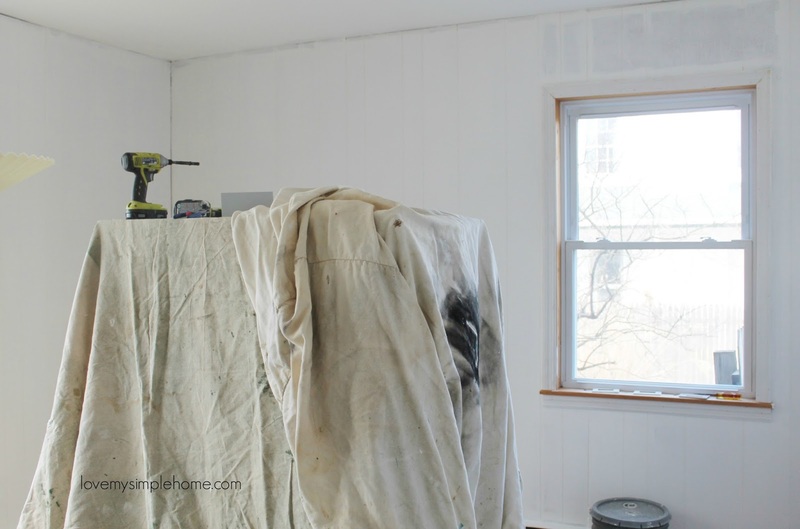 I purchased BEHR Ultra Pure White in an eggshell finish. 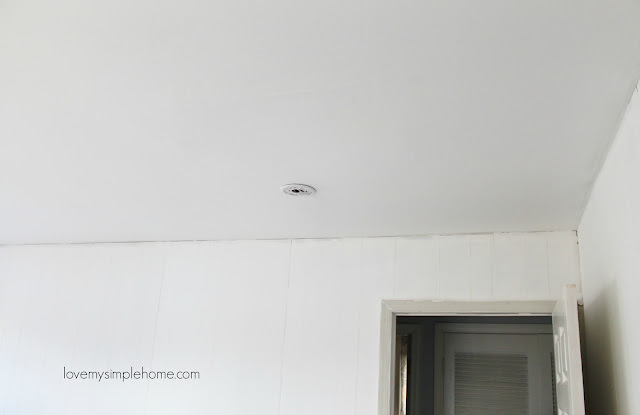 My husband did a great job fixing the ceiling and I am happy with how we are moving along. 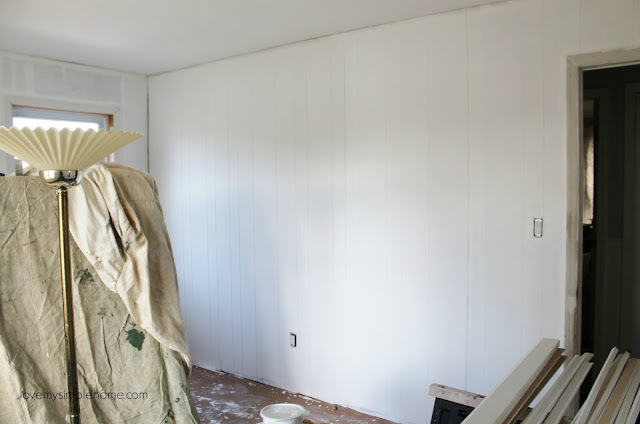 The white paint makes a statement in this small room and is the perfect color for the old wall paneling. Next week I'll be shopping for flooring and we will be installing the ceiling and floor trim as well as the baseboard heat covers. The painting looks great. 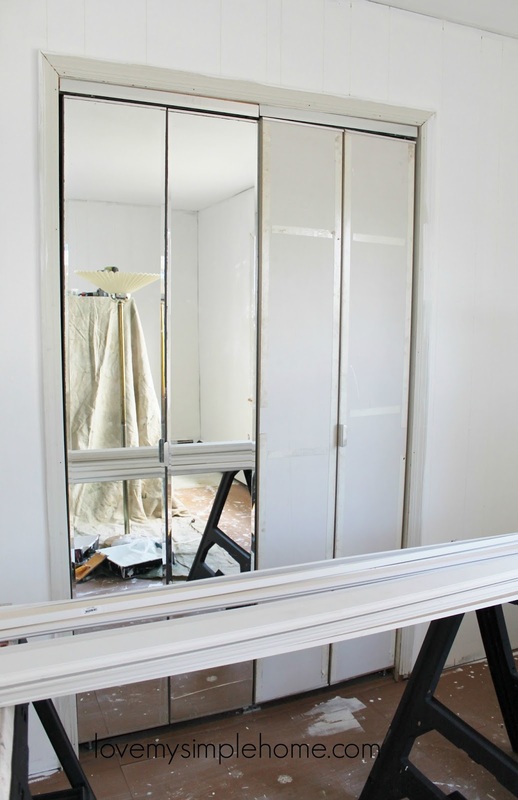 The blue and white scheme is going to look so fabulous and fresh in this space! I love your design board! And your husband did a great job patching that ceiling! Good luck, I can't wait to see the finished space! Great job - and I always manage to get paint in my hair too! I manage to drag paint all through the house too! It's always best to get my husband to do it!